Brother of the painter of battles Jacques Courtois, Guillaume came early to Rome and settled there. His training was in the studio of Peter of Cortona, whose influence marked his painting throughout his career; it is in a "cortonesque" manner, animated and sound, that G. Courtois, employed by Bernini, produced a number of decorations in the churches built under the pontificate of Alexander VII Chigi. 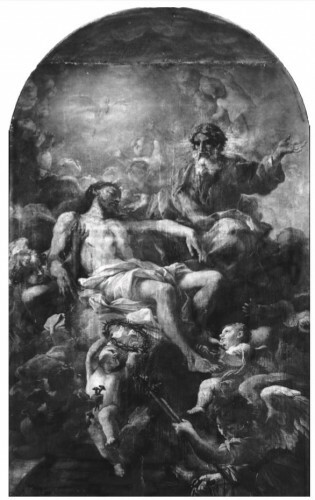 His first known works are those of the church S. Mario (1653). He then worked in Saint-Jean-de-Latran, then in the Quirinal Palace (Battle of Josué, 1656-57). From the 1660s date the altar painting of the Chigi chapel at Castelgandolfo (1662), the decoration of the apse of the church of Ariccia, the two paintings of the chapel Cesi (Rome, S. Prassede), those also GN, Gal. 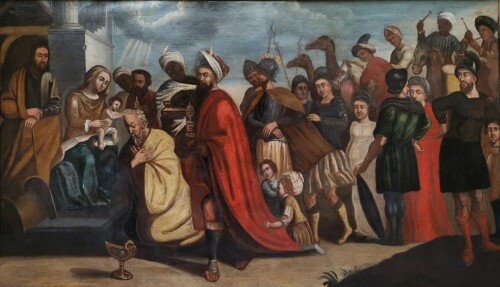 Corsini, of Rome (Adorations of the Magi and Shepherds, formerly attributed to Passeri). His Good Samaritan from Besançon museum, close to Mola and all romantic effect, irresistibly evokes Delacroix. 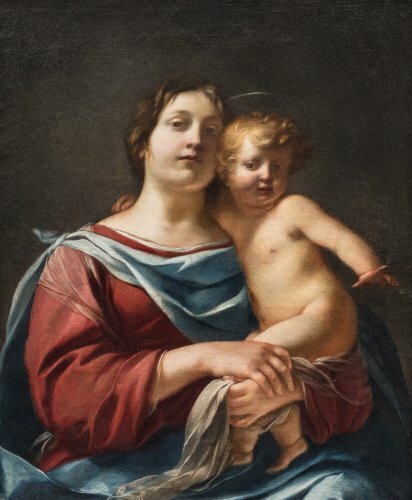 The personality of Guillaume Courtois, quite distinct from that of his older brother, with whom he sometimes collaborated (frescoes of the Prima Primaria chapel, Collegio Romano of Rome) and whose style remains more nervous and precise, was only recently postponed. 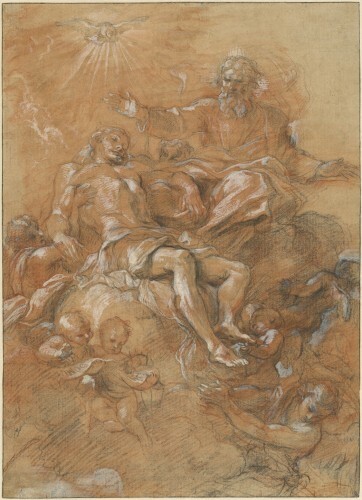 in the foreground; his paintings, brilliantly colored and strongly contrasted, served by a broad touch and a tasty material, and his drawings, often attributed until then to Lanfranco (Rome, Düsseldorf), make him, before perhaps Ciro Ferri and Lazzaro Baldi, one of the most brilliant students of Pietro da Cortona. 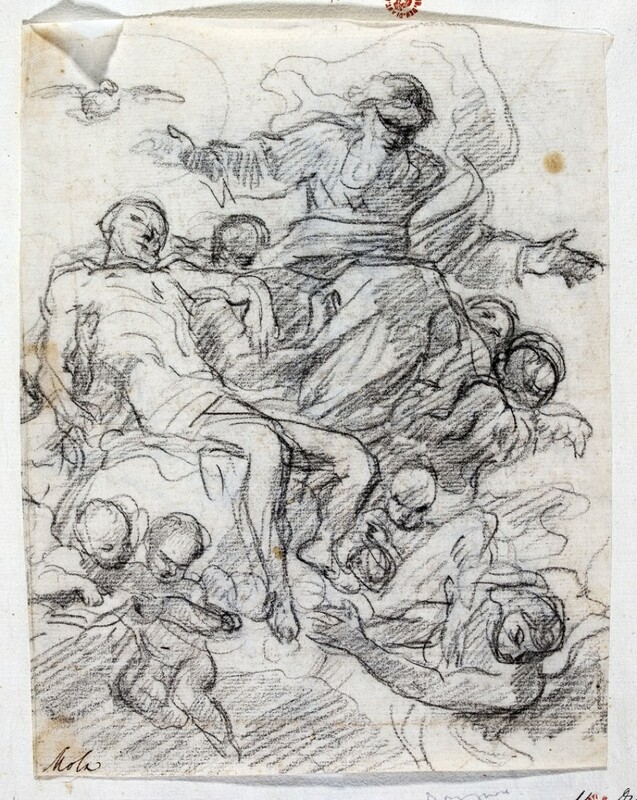 The composition of this painting was until now known by two black-stone drawings preserved in the Gabinetto Nazionale delle Stampe in Rome and by a more finished sanguine depicting The Dead Christ in the Ratjen collection in Munich. 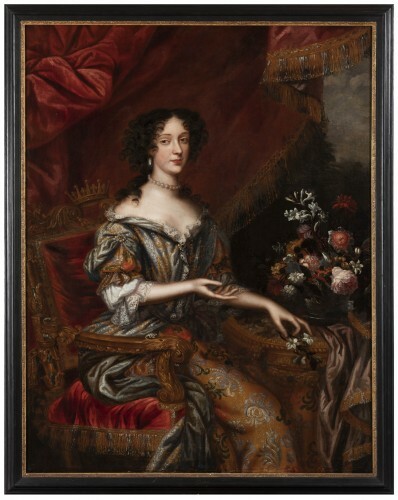 This painting represents a real testament of the colorful and contrasting Bernese style, coming closer to the production of his classmates Ludovico Giminiani and Giovanni Battista Gaulli Baciccio said and can be dated to the last years of the artist, around 1678-79. 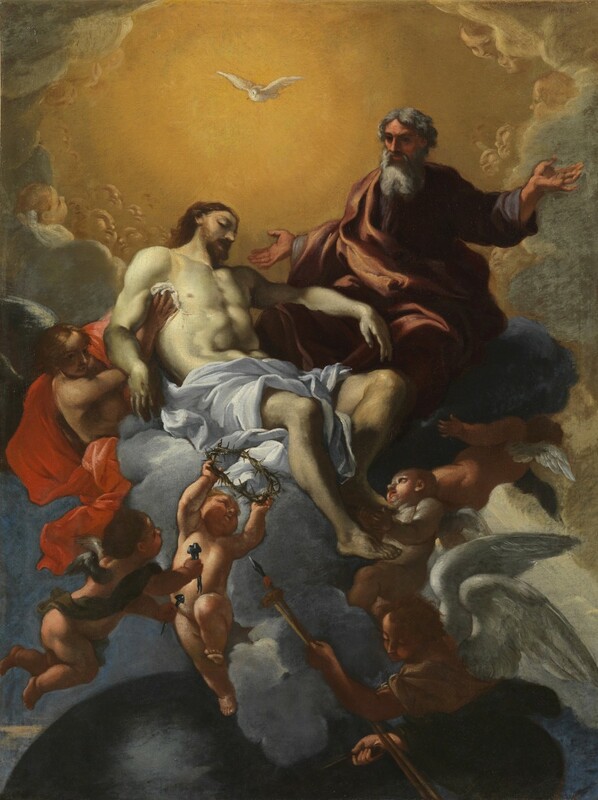 Our painting is actually related to the great altarpiece recently discovered in the church of Sant'Antonio di Padova Castelvecchio di Monteporzio in the Marches, for which Valeria Di Giuseppe Di Paolo suggests a provenance Barberini. Another canvas depicting Christ's death in the same position but supported by an angel in the presence of a Virgin of pain is kept in a private collection. 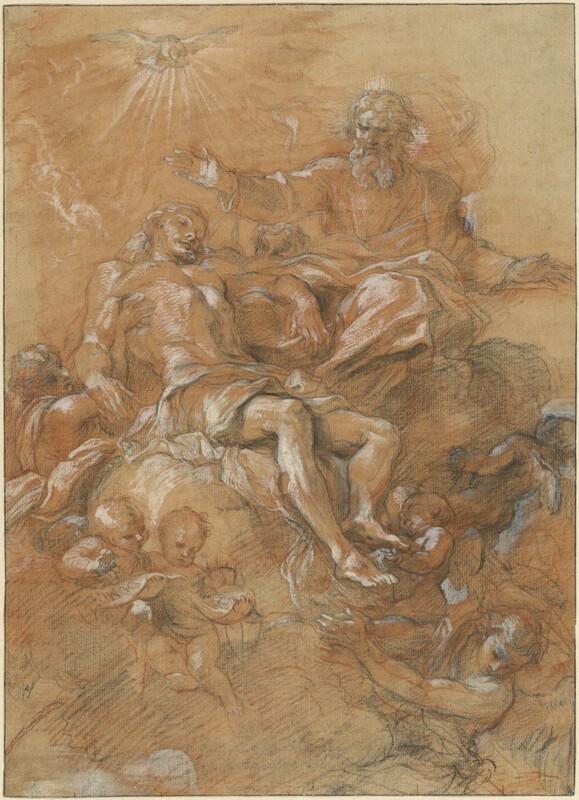 In the note of this last F. Petrucci makes the connection with the drawings by evoking a lost Trinity or not realized but in fact this one and that of Castelvecchio. 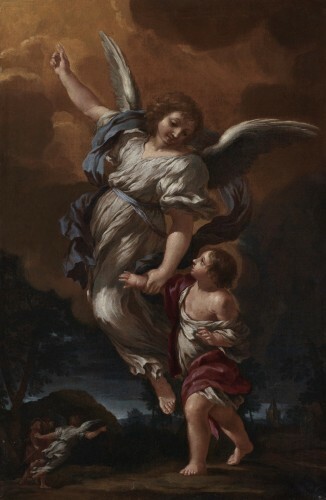 Bibliography: Published by Valeria Di Giuseppe Di Paolo, The Trinità del Borgognone e una nuova versione dell'Apparizione di Gesù Bambino at Sant'Antonio di Padova di Luca Giordano-Ipotesi for a committenza barberiniana *, in "Studi di Storia dell'Arte" , n.25, 2014, pp. 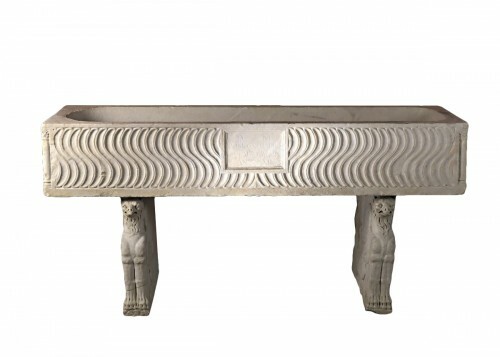 207-215. Our painting will be published in the catalog raisonné of the artist being prepared.